MISSOULA — Cedar Ida Pearson was born at Community Medical Center on Aug. 9, 2017. 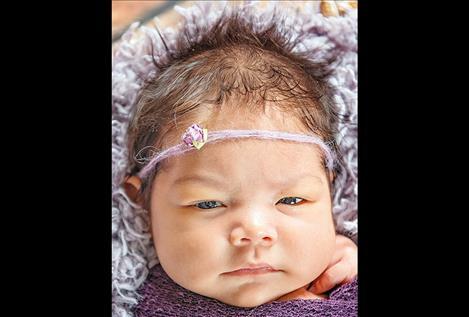 She weighed 4 pounds, 4 ounces and was 16.4 inches long. 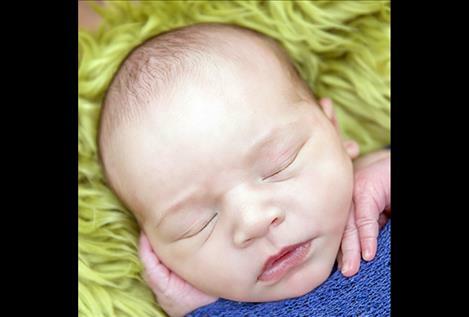 Parents are Leslie Patterson of Polson and Ryan Pearson of Kalispell. Maternal grandparents are Gary and Patti Patterson and Barbara Patterson, all of Polson. Paternal grandparents are Tim and Barbara Pearson. POLSON — Kelianna Maria Josephine Romaine Perez Mitchell was born on July 27, 2017, at the Nesting Place in Providence St. Joseph Medical Center. 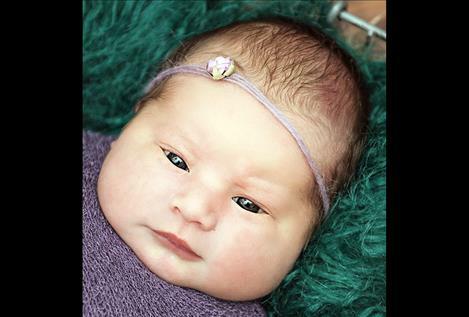 She was 19 inches long and weighed 7 pounds, 11 ounces. Her parents are Jessica Perez and Brian MJT Mitchell of Polson. Maternal grandparents are Vivian (Sissie) Charlo and Fernando Perez and great-grandparents are Virg Charlo and Johnny Charlo. Paternal grandparents are Daphne and Dan Beavers and great-grandparent is Lisa Romaine Mitchell. POLSON —Luna Mae Liberty Polk was born July 22, 2017, at the Nesting Place in Providence St. Joseph Medical Center. 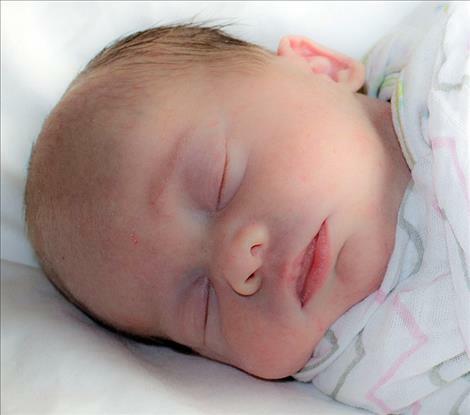 She was 20 inches long and weighed 9 pounds, 5 ounces. Luna’s parents are Nicole Robbins and Lucas Polk of Polson. Maternal grandparents are Belen and Carl Robbins and great-grandparents are Darlene and Ramon Tarin. Paternal grandparents are Lorie Sabean and Lynn Boyle and great-grandparent is Mildred Polk. RONAN — Parker Kaleb Marshall was born Sept. 26, 2017, at St. Luke Community Hospital. He weighed 8 pounds, 3 ounces. Parents are Michael and Janice Marshall of Polson. Paternal grandparents are Sam and Barbara Marshall of Polson. Maternal grandparents are Jim and Mary Burdett of Hungry Horse. Siblings are Aubrey and Bailey Marshall of Polson. 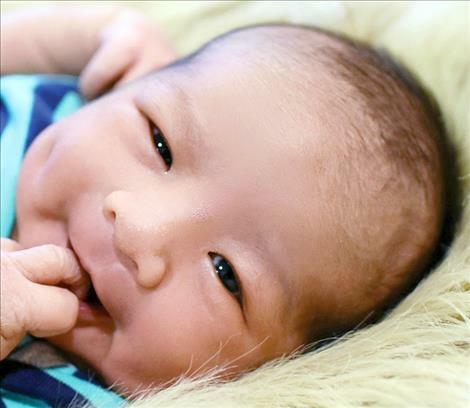 POLSON — Tien and Tarynn Tagle are excited to announce the birth of sister, Tayven Tyler Tagle. She was born Sept. 15, 2017, at the Nesting Place in Providence St. Joseph Medical Center. 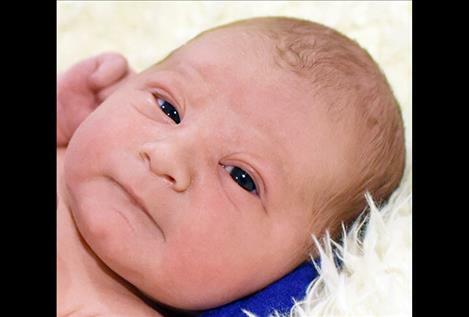 Tayven was 20 and ¾ inches long and weighed 7 pounds, 6 ounces. Her parents are Brittany and Tyler Tagle of St. Ignatius. Maternal grandparents are Tricia and Gene Dally. Maternal great-grandparents are Jewell Doty and Randy Doty. Paternal grandparents are Phyllis Espinoza and Richard Tagle. Paternal great-grandparents are Rita and Talburt Roy. RONAN — Zarian Shepherd was born Sept.25, 2017, at St. Luke Community Hospital. He weighed 9 pounds. Parents are Sheldon Shepherd and Brooke Wagner of Ronan. Paternal grandparents are LaMoine Hendrickson of St. Ignatius and Alex and Tilda Shepherd of Cedar City, Utah. Maternal grandparents are Lisa Spottedwolf of Polson and Tony and Jennifer Wagner of Browning. Siblings are Zandyn, Ce’Alana and Desirae of Ronan.